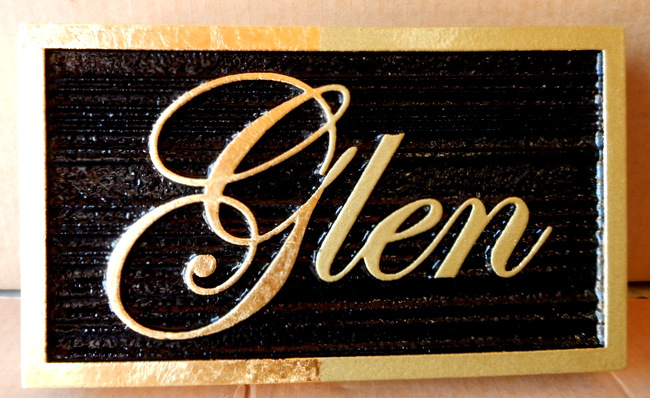 Above is a photo of a 2.5D (flat relief) High-Density-Urethane (HDU) sign with raised text and a sandblasted wood grain background painted black. . The text and border is 24K gold-leaf gilded. This plaque is 20 inches long, but similar signs can be purchased in any size from 12 inches to 60 inches in length. It can also be customized with other text or art.